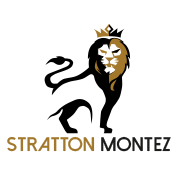 2.1 These General Terms and Conditions of Sale shall apply to all offers, orders and agreements made by Stratton Montez, to the exclusion of all other General Terms and Conditions. 2.4 All entitlements and claims imposed for the benefit of Stratton Montez in these Terms and Conditions and any subsequent agreements shall equally be imposed for the benefit of intermediaries and other third parties engaged by Stratton Montez. 2.5 The Stratton Montez webshop is intended in the first instance for countries belonging to the European Union. 3.1 All offers made by Stratton Montez shall be without obligation, and Stratton Montez expressly reserve the right to amend prices, in particular when this is necessitated by legal and other requirements. All offers are subject to availability. We reserve the right to introduce price changes and changes to products and/or ranges at any time. 3.2 An agreement will come into force only following acceptance of your order by Stratton Montez. Stratton Montez shall be entitled to reject any order or to attach conditions to the delivery, unless expressly determined to the contrary. Where an order is not accepted, Stratton Montez will notify you of this within ten (10) working days of receipt of the order. 3.3 This agreement contains all agreements made between you and Stratton Montez, and shall replace all other agreements, arrangements and/or contracts made between you Stratton Montez. 4.2 Payment may be by any of the methods indicated during the ordering process. Additional conditions in relation to orders or payment may be attached to a customer’s order. Following the placing of an order you will receive immediate confirmation by e-mail, stating the total costs, including carriage charges. Payment will be in full, in advance. 5.1 Stratton Montez aim to deliver ordered goods within 48 hours of receipt of payment. However there is no obligation on Stratton Montez in this regard. 5.2 The latest delivery period is 30 days following order placement, except where the delay cannot be attributed to Stratton Montez. The despatch of your order will be confirmed by e-mail as soon as it goes out. If you have not received your order within a reasonable time ( 4 working days), we would request that you notify us of this immediately by e-mail, and at the latest within 10 working days. No claim submitted after this period will be considered. 5.3 Where a delivery is delayed, whether because items are out of stock, temporarily or permanently, or for any other reason, or where an order can not be completed or can only be completed in part, then you will be notified accordingly within seven (7) days after the placing of the order. In that case you will be entitled to cancel the order without charge. In these circumstances Stratton Montez will arrange for a refund to be made. 6.1 Property in the products supplied shall pass to the purchaser only when all liabilities created by virtue of any agreement with Stratton Montez have been discharged. Risk in the products shall pass to the purchaser immediately at the time of delivery. 7.1 You are obligated to respect all intellectual and industrial property rights associated with products supplied by Stratton Montez, in full and unconditionally. 7.2 Stratton Montez do not guarantee that the products supplied to you do not breach any third party intellectual and/or industrial property rights, whether recorded in writing or not. 8.1 It is your obligation to investigate on delivery whether the products comply with the agreement. Where this is not the case, you should notify Stratton Montez in writing, stating reasons, as speedily as possible and in any event within seven (7) days following delivery, or in any case once detection was reasonably possible. Where the returned items are received in good order, Stratton Montez will transfer the relevant amount to you within 30 days. 9.1 Stratton Montez shall not be liable for misunderstandings, misinterpretations, delays or failures properly to communicate orders or notifications resulting from the use of the Internet or any other means of communication during communications between yourself and Stratton Montez, or between Stratton Montez and any third party, to the extent that these relate to the relationship between yourself and Stratton Montez, except and to the extent that there are intentional acts or negligence on the part of Stratton Montez. 10.1 In the case of force majeure, Stratton Montez shall be entitled, at their option, to suspend the completion of a customer’s order, or to dissolve the agreement without any requirement for judicial intervention, by notifying the customer accordingly in writing, and without any liability on the part of Stratton Montez to pay compensation for damages, unless in the circumstances this would be unacceptable, given the normal standards of fairness and reasonability. 10.2 Force majeure shall be taken to mean any circumstance independent of Stratton Montez volition, whereby their compliance with their obligations towards the customer is impeded, whether in whole or in part. These circumstances shall be taken to include strikes, fire, disturbances to operations, energy supply failures, delayed or missed deliveries on the part of suppliers or other third parties engaged by Stratton Montez, and the lack of any permit required to be obtained from government agencies. Force majeure shall also be taken to include faults in any telecommunications or other network or connection or any communications systems used, and/or the unavailability of the internet site at any time. 11.2 Stratton Montez will thereby take account of applicable privacy legislation and regulation. 12.1 Where you provide Stratton Montez with an address in writing, then Stratton Montez shall be entitled to despatch all orders to that address, except where you Stratton Montez in writing with another address to which your orders should be despatched. 12.2 In the event that Stratton Montez tolerate deviations from these Terms and Conditions, whether for a short or longer period and whether tacitly or otherwise, that shall be without prejudice to their entitlement to require immediate and strict compliance with these Terms and conditions. You may in no circumstances derive any entitlement on the grounds of lenient application of these Terms and Conditions by Stratton Montez. 12.3 Where one or more of the stipulations of these Terms and Conditions or any other agreement made with Stratton Montez are in conflict with any applicable legal requirement, then the stipulation(s) in question shall lapse and shall be replaced with a legally permissible new stipulation to be determined by Stratton Montez. 12. Stratton Montez shall be entitled to engage third parties in the completion of your order(s).